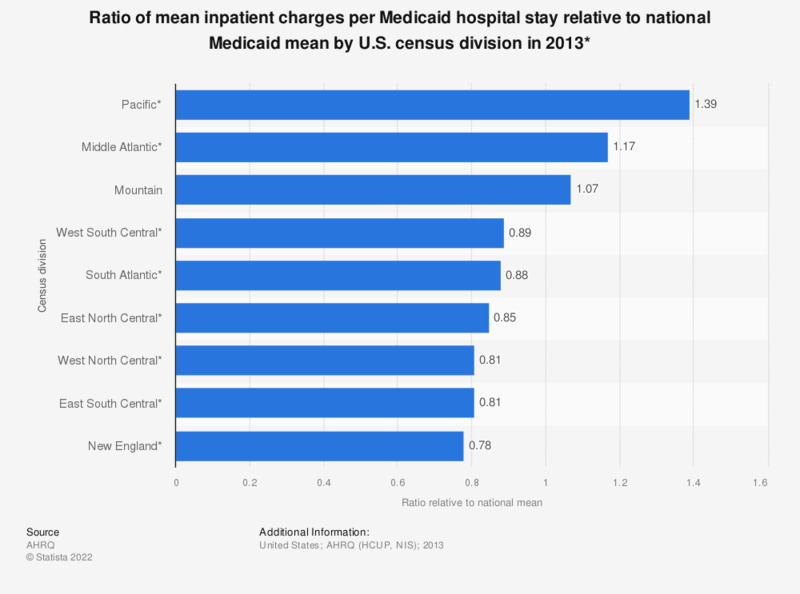 This statistic shows the ratio of mean inpatient charges per Medicaid stay relative to the national Medicaid mean, by census division in 2013. In the Pacific region, mean inpatient charges per Medicaid stay were 39 percent higher than the national mean of 30,900 U.S. dollars. * Not adjusted by area wage index. The national Medicaid mean value per inpatient stay was 30,900 U.S. dollars.